Fantastic for case, servo, & other large aluminum round bore repairs, and polishing. 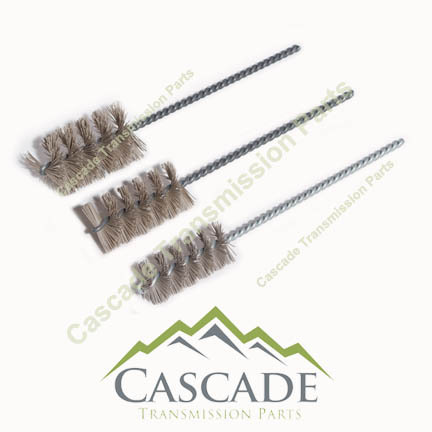 The Accumulator Buddy is a set of three (3) brushes that work in bores ranging from 1 to 2 inches. The Idea in their creation was to remove light scratches, small burrs and bore glazing. The results leave a clean polished bore for sealing surfaces and piston rings. 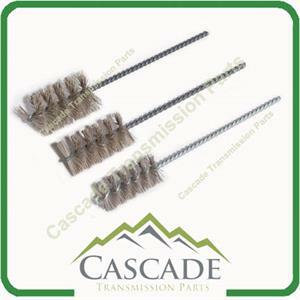 or out of the vehicle , and the brushes fit into any type of drill. The Accumulator Buddy polishes bores in seconds, saving time compared with the use of polishing pads.
" It took me a couple years before i opened this product to use on a personal project. No B.S. 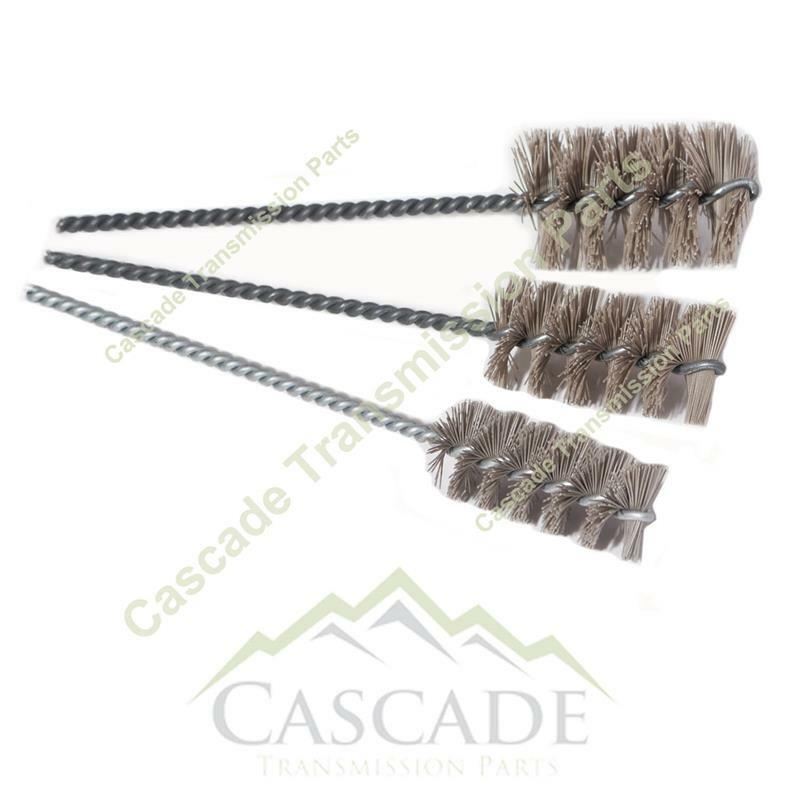 i was sincerely amazed and what these brushes removed from aluminum castings, and how well they worked ! Rest assured you will be happy with this purchase and this is not a ploy to get you to buy them. We now have these and the Bench Buddy Brushes at nearly every parts repair station in our warehouse. " We Are An Authorized Dealer Of Superior Transmission Parts. Including Fairbanks & Translab Products. Photos are of the actual brushes sent.